Ok, ok, one more. Let’s keep the streak alive and start May the right way. With fish tacos, that is. 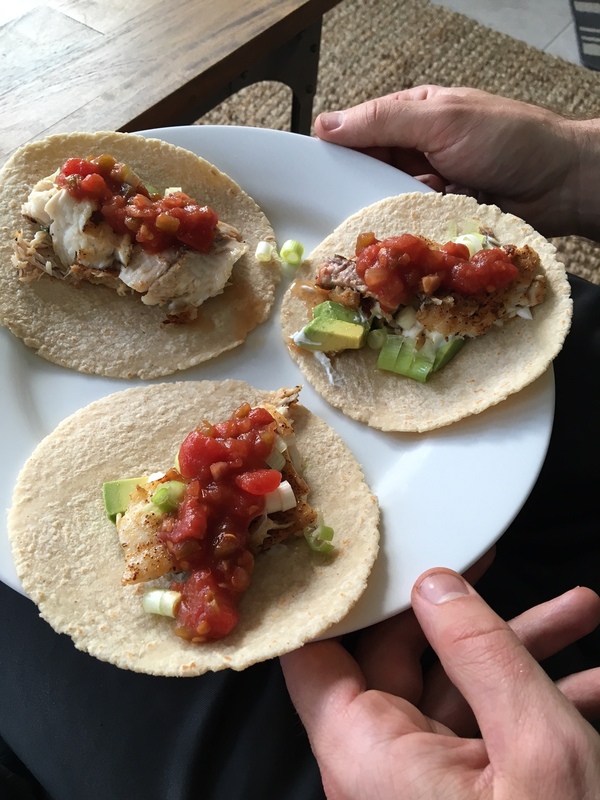 I apologize for the mediocre photo quality – these fish tacos were dying to be eaten, and they weren’t going to wait until I had taken the perfect photo. I thought about not posting them, but… where’s the fun in that? I’m too addicted to posting now. I can’t stop. I’m out of control. Have you noticed that Cinco de Mayo is coming up this week? 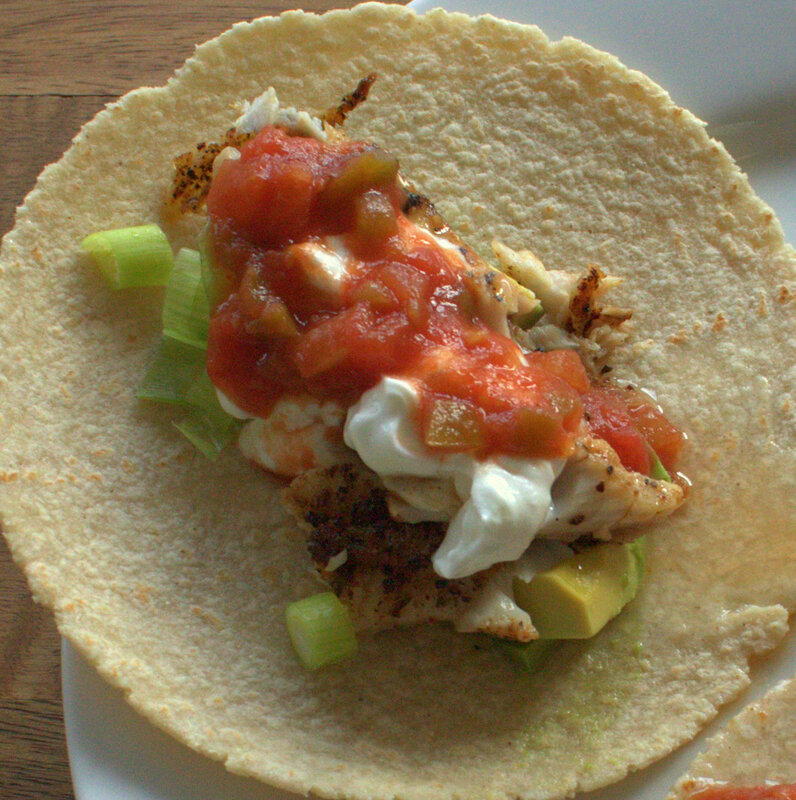 I don’t know how you’re planning to celebrate, but might I suggest that fish tacos would be a good idea? Just add cerveza (or tequila – you decide). Side note – you might be tempted to buy the flour tortillas… Don’t do it! Just don’t. I can’t find any without partially hydrogenated oils. Let me know if you do. Lightly season tilapia fillets with salt, pepper, and chili powder. Heat oil in a cast iron skillet over medium high heat. Cook 2-3 minutes on each side or until cooked through. 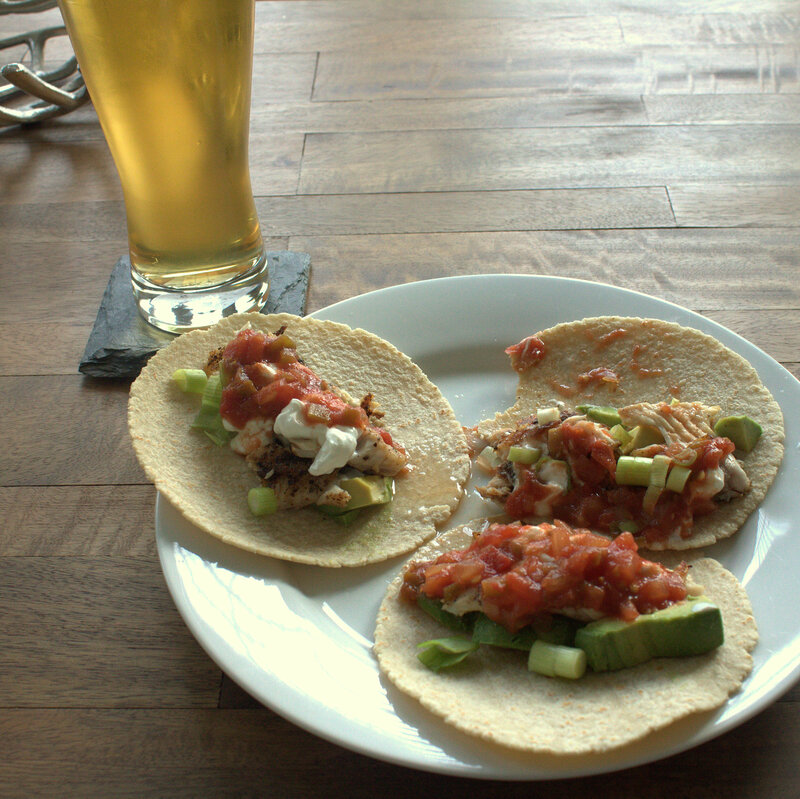 Assemble your tacos! (Didn’t I say this would be easy?) In case that’s not clear, you put the fish and the toppings in the corn shell.